Reading had the idea. The Federal Government had the money. When the idea and the money got together Reading had an airport. For many years Reading flyers and other aviation-minded citizens wished for a modern flying field. The city administration in the late 20’s considered the possibilities of developing a municipal airport. But there was no money. A modern port large enough and with sufficient facilities to permit the landing of huge commercial planes would cost a minimum of half-a-million dollars. No one had a half-million dollars; at least not for an airport and so nothing more was done about the matter. Yet the idea persisted and committees were formed to find locations and make studies incidental to Reading’s future participation in air commerce. There was a Chamber of Commerce Aviation Committee. The Exchange Club had an active committee. The Council of Civic Clubs took up the study and task. Soon there was a committee that amounted to a committee of committees. In the latter part of 1934 and early 1935 the members of this later group were: Leroy F. Christman, former county engineer, chairman; Francis M. Wilkinson, Henry F. Hathaway, Russell J. Esslinger, Eddie Nibur, Landis R. Klinger, Earle K. Angstadt, Elwyn C. Winne and Melvin H. Nuss. It was about this time that the Federal Government thinking of national defense, began allotting money for airport construction through the Works Progress Administration. Here was a possible answer to the money problem. However, while the government was providing construction money, the sponsor had to provide the land. Inquiry revealed that private funds raised for land acquisition for municipal airports in Lancaster, Allentown, Scranton, Wilkes-Barre, and Harrisburg, exceeded $400,000. The local solution to this problem appeared to be in securing the use of publicly owned property, and as before, because of location and being publicly owned, the County Poor Farm near Shillington was considered about the only available location by the majority of the Committee. 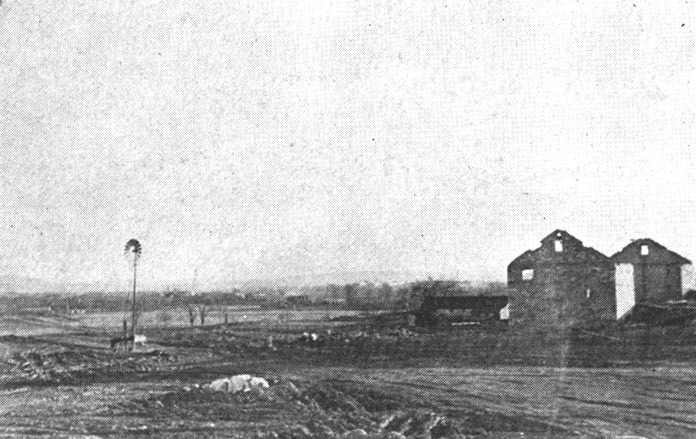 Through the assistance of Congressman William E. Richardson, the Bureau of Air Commerce was asked to inspect the Poor Farm site, and on February 1, 1935 Lieutenant Paul D. Meyers flew to Reading and, after looking over the available acreage, said it would do if there was nothing better. Members of the Committee appeared before the County Poor Board requesting the use of sufficient acreage. The request was refused. Lynoak and Shillington residents circulated petitions opposing the use of Poor Farm land for airport purposes. Land owners were now offering many locations. Through the cooperation of Albert W. Gotch, City Planning Engineer, a study of the huge aerial map in his department revealed 18 possible locations. This was reduced to four locations. Again through the efforts of Congressman William F. Richardson, the Bureau of Air Commerce dispatched Lieutenant Meyers to Reading on July 1935. Accompanied by Chamber of Commerce Secretary Edward R. Hintz, and Melvin H. Nuss, the four sites were visited, inspected afoot and later flown over. In selecting the Shearer-Althouse tract, present location of the field, Lieutenant Meyers referred to the excellent elevation, natural drainage and absolute obstructionless approach. Property lines were secured. Mr. Gotch was asked to sketch a field layout immediately. Present runway pattern, length, width and parking areas are almost identical with his original suggestions made in the summer of 1935. The late Isaac T. Tyson, then President of the Chamber of Commerce, supported by his Executive Committee, authorized the expenditure of sufficient money for legal study and price inquiry. Philip F. Schmehl was engaged and his written report stated $400 per acre was the price asked by the owner. The Works Progress Administration officials were now urging municipalities to take advantage of Federal assistance. Major John P. Morris, Director of Aeronautics in Pennsylvania for W. P. A., frequently conferred with Mayor Heber Ermentrout. 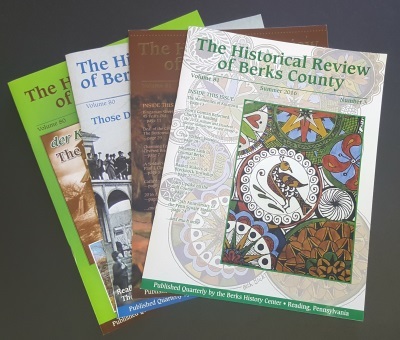 On October 23rd there was a long conference participated in by Mayor Ermentrout, Councilmen William J. Smith, Frederick A. Muhlenberg, John H. Rorke, Maj. John P. Morris, Daniel H. Reed, of the Bureau of Air Commerce, Department of Commerce, C. A. B. Zook, Lancaster District W. P. A. 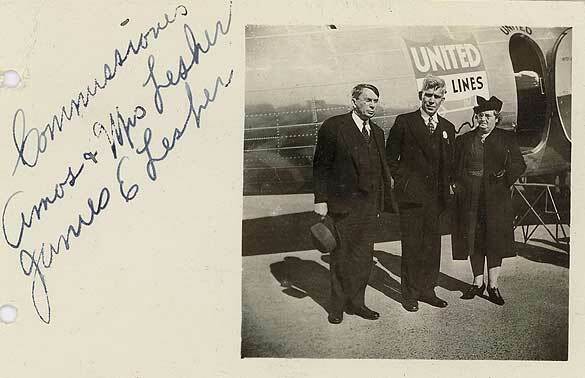 Administrator; Edward Edgerly, Supervisor of Lancaster Airport Project, and Weatherman Henry F. Hathaway. Following the conference there was a field inspection, in which Mr. Nuss also participated, and a further discussion was held in the Mayor’s office. The present site was then approved, Major Morris stating to Mayor Ermentrout that he would arbitrarily set aside, out of the state’s federal appropriation, $398,000 to get a Reading airport project under way. The Chamber of Commerce now engaged Charles T. Dellinger of the Nolan Agency to secure an option on the Shearer tract. After some effort a 60 day option was secured for $16,000. This option was later reduced to $15,000. The option was assigned to the city and before it expired, and because there was some hesitancy on the part of city officials, the Chamber of Commerce Committee approached County Commissioners Nathaniel Gring, Charles B. Ebling and Ernest B. Posey suggesting that the County share the land cost with the city. On December 10th the County Commissioners passed a resolution agreeing to pay one-half of land cost of the approved site, their share not to exceed $22,000. The Althouse tract was later secured by condemnation at a cost of $22,575.90, thus the County paid one-half of the total cost, or $18,787.94. Now there was the election of November 4th retiring the majority of Council as of January 6, 1936. The Chamber of Commerce Committee feared that the incoming administration might not be in favor of a municipal airport. On December 6, 1935, however, Mayor-Elect J. Henry Stump issued a press statement favoring a municipal airport, and the plans went ahead. On December 18, 1935 Washington approved the City’s application, and by February 12, 1936 injunction proceedings brought by residents of Greenfields were disposed of. However, early in 1936 an engineering dispute arose and the project was delayed. Although there was some clearing of the site and trenching for rock, there was more argument than progress. W. P. A. officials, becoming disgusted, threatened withdrawal of the project. On May 12th, 1936, Mayor Stump appealed to the Chamber of Commerce Committee to get busy or, he said, the airport project would be lost. Several conferences followed, and on May 22nd the Chamber of Commerce made available drafting room quarters and engaged the services of Cyril Heyen and Oren Angstadt to prepare grading plans for W. P. A. approval. City Planning Engineer Gotch and Earl Heist contributed their time after hours. The plans were approved by the W. P. A. and Bureau of Air Commerce and submitted to City Council for study on June 13th, receiving approval on June 19th. Although the City Engineer insisted that Reading should have a larger and more elaborate field he nevertheless signed the plans as required by the Government, and on August 6, 1936, ground was broken for the airport. The sponsor’s dollar share of the first project, in addition to land cost, was $21,000. No one at that time actively connected with the effort to secure an airport ever believed for a moment that additional funds would not be required, because the original application made no provision for many major and minor essentials of a modern airport. Early field work and grading was in good hands, and work progressed well within cost. In May 1937, in order to assist the City in the Airport project, a permanent Airport Commission was created by City Council. This Commission included: Amos N. Lesher, chairman; former Judge Edgar S. Richardson, Donald T. Beaumont, Paul S. Keeler, Melvin H. Nuss, secretary. The Commission’s first meeting was on May 21st. On recommendation of the Commission and by action of Council on June 21st the airport project was transferred from the Department of Streets and Public Improvements to the Department of Public Affairs. The late E. J. Poole was then Acting President of the Chamber of Commerce. With the support of the Executive Committee he brought Emil K. Harvey, New York engineer and aeronautical expert, and John Walter Wood, New York architect and expert on landing field design, to Reading for consultation with the Commission. Since the appointment of the Commission, grading of the field and paving of the runways has been completed, a hangar erected and a restaurant building built. Every member of the Commission has always advocated an airport of beauty, of which all the citizens would be proud, as well as one of great utility for present and future air commerce. Mr. Gotch, who drew the plans for the airport, is the Commission’s engineer. Clifton 0. Hadley, veteran pilot, is technical advisor and aeronautical representative. Philip F. Schmehl, Assistant City Solicitor, is legal advisor. 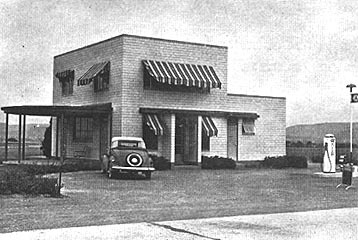 The late Raymond J. Richardson was the architect for the hangar and the restaurant building. His services to the Commission were invaluable and went far beyond the scope of his contract. When the construction on the airport was about completed and operations in progress, the project was transferred from the Department of Public Affairs to the Department of Parks and Public Property, of which Councilman Howard McDonough is the director. But although the field is open, the work of the airport commission is by no means ended. Reading Municipal Airport is a city project. 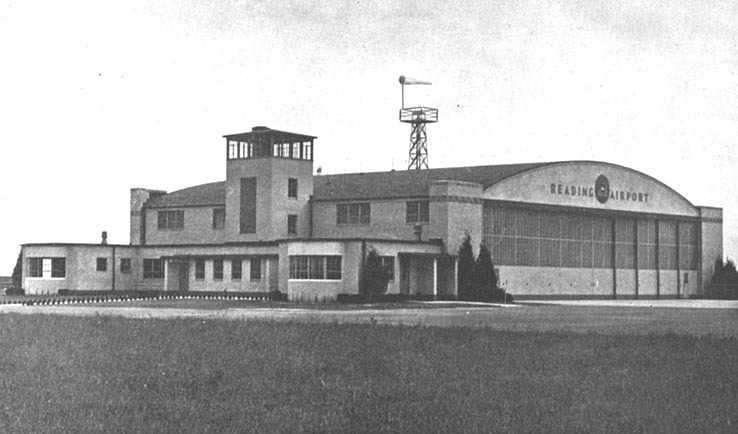 The hangar and repair shop concessions and the flying concession are under contract, but maintaining the field, keeping the port a project of which the city and county will continue to be proud, insuring that Reading Airport will remain abreast of the many developments in the rapidly expanding fields of aviation, is the continuing work of the commission in cooperation with city officials. The future of aviation is beyond the horizon. The industry of air transportation is in its infancy. But regardless of the expansion, Reading Municipal Airport was built to keep in step.